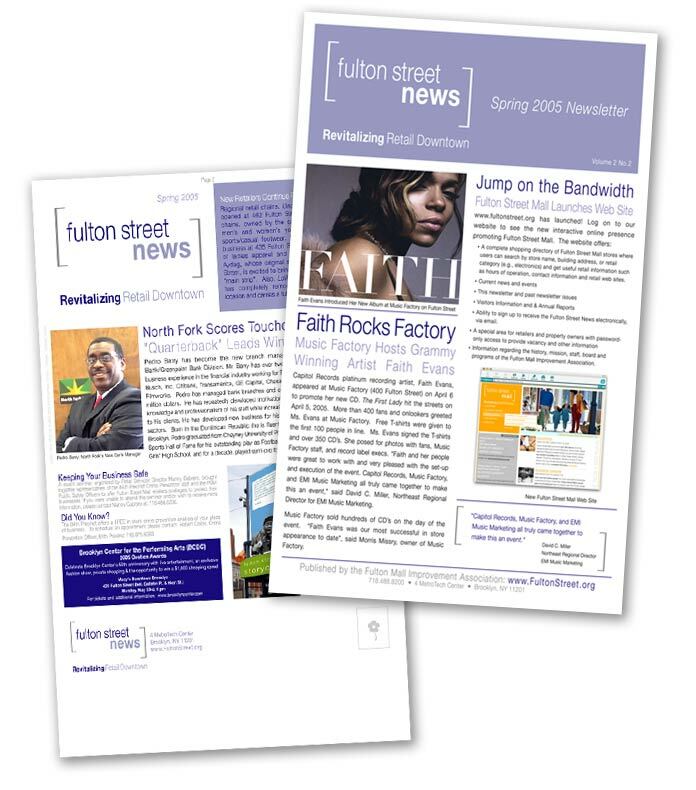 Notes: We designed a series of 6 newsletters for Fulton Street Mall that were delivered to the community. They were large (8.5 x 14") self-mailers that used contemporary colors, layouts, headlines, and images to show the new branding for the street and organization. The Solarek Studio designed the newsletter, wrote headlines for the newsletters (including the headlines shown at left in the example), and provided copy-writing for the newsletters. We also designed and coded the online version of the newsletters.